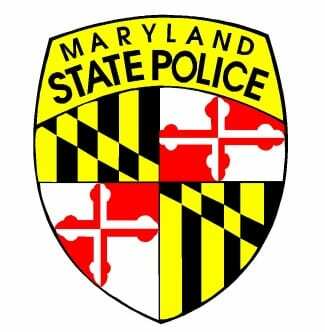 PIKESVILLE, MD – The Labor Day weekend efforts of the Maryland State Police had a positive effect on reducing crashes and keeping the public safe. Preliminary information indicates from September 1st through September 6th, 2016, troopers statewide made approximately 9,218 traffic stops. They issued 6,221 citations and 5,777 warnings. There were 119 drunk driving arrests and 1,029 repair orders issued for defective vehicle equipment. In support of the “Drive Sober or Get Pulled Over” campaign, S.P.I.D.R.E., a full-time drunk driving enforcement team, was out this weekend from September 1st through September 3rd in Montgomery County where drunk drivers and drunk driving related crashes are known to be prevalent. The team arrested 10 impaired drivers and issued more than 75 citations. One of the drivers arrested was a repeat offender. The traffic enforcement efforts of the Maryland State Police led to criminal violations as well. Troopers made 64 arrests and an additional 75 wanted people were arrested on outstanding criminal warrants. Troopers assigned to the Southern Maryland and Eastern Shore regions worked the “Operation SHOWBOAT” initiative and inundated the Route 50 corridor from the Chesapeake Bay to Ocean City. The operation successfully contributed to highway safety this weekend. During these initiatives there were no fatal or serious crashes.